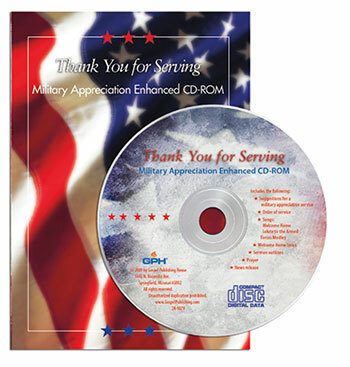 Hosting an entire church service in veterans' honor is easy with the Thank You for Serving: Military Appreciation Enhanced CD-ROM. Encourage your congregation to invite friends who have served in the military and their family members. Choose how to honor veterans with the service and sermon outlines and prayer of tribute. The Salute to the Armed Forces song and video will bring back memories for veterans as their branch's song is played. Then wrap it up with Welcome Home, a moving song of appreciation for those who have served in the military.